Giant "Horse Blanket" Black Eagle Note! 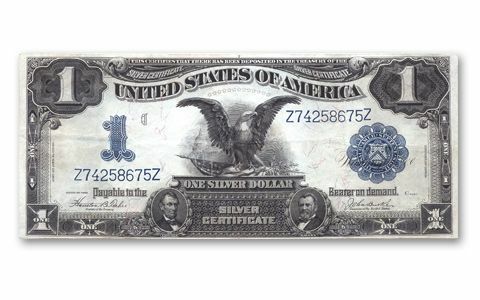 Nicknamed for their size (25% larger than our current dollar bill), this 1899 $1 Black Eagle Silver Certificate prominently displays an eagle with his wings spread, printed in black ink on the obverse. 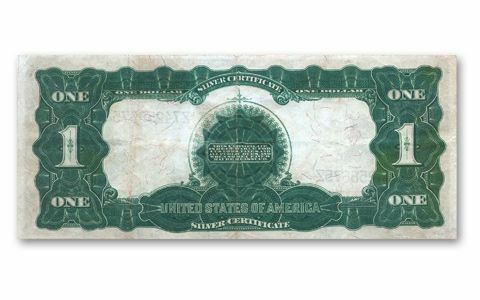 This is the only piece of U.S. currency ever issued which displays the portraits of 2 different presidents-Lincoln and Grant-two giants of 19th century American history. 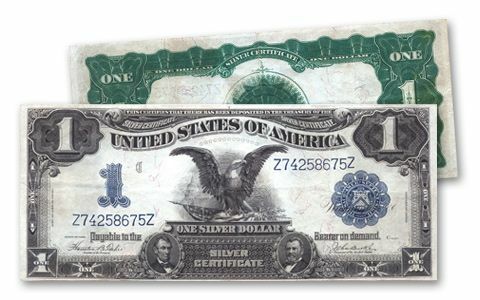 One of these same notes in near-perfect condition recently sold at auction for $30,000! We are offering them in Very Fine (VF) condition. Each note is mounted in a clear acrylic holder, allowing you to examine and display both sides!